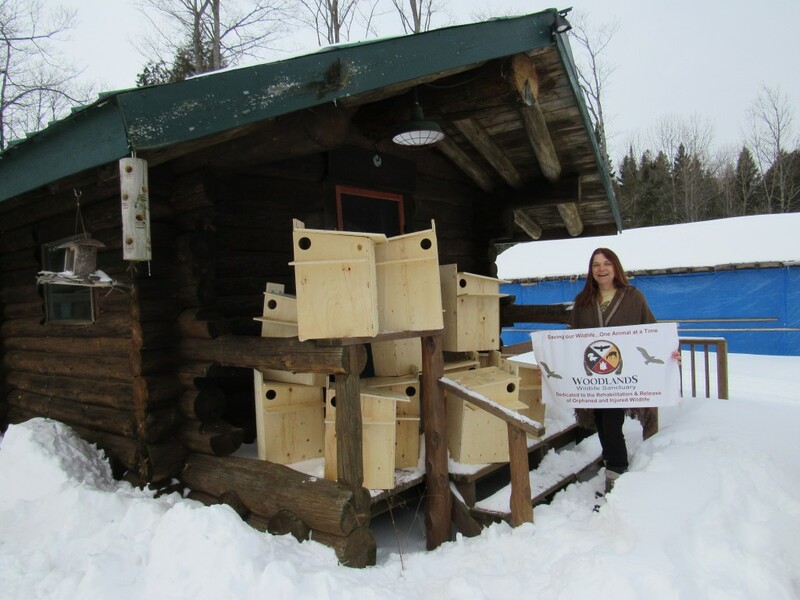 Author Margaret BlackPublished on March 1, 2016 March 19, 2016 Leave a comment on Shelters for Orphaned Wildlife! 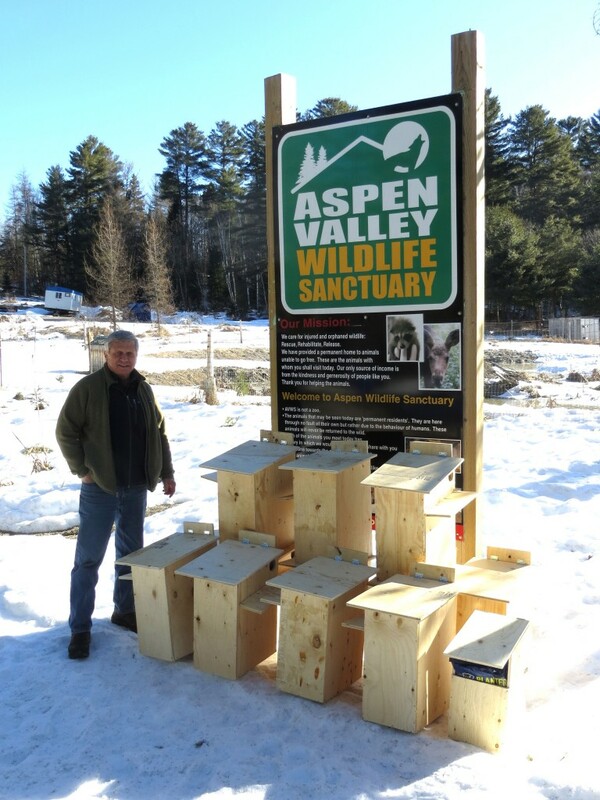 Wildlife Food Drive Receives Second National Award! 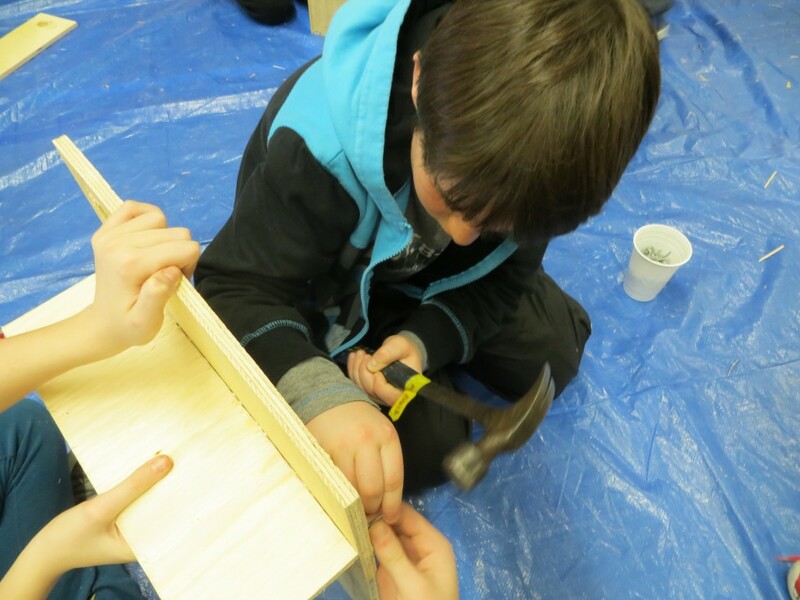 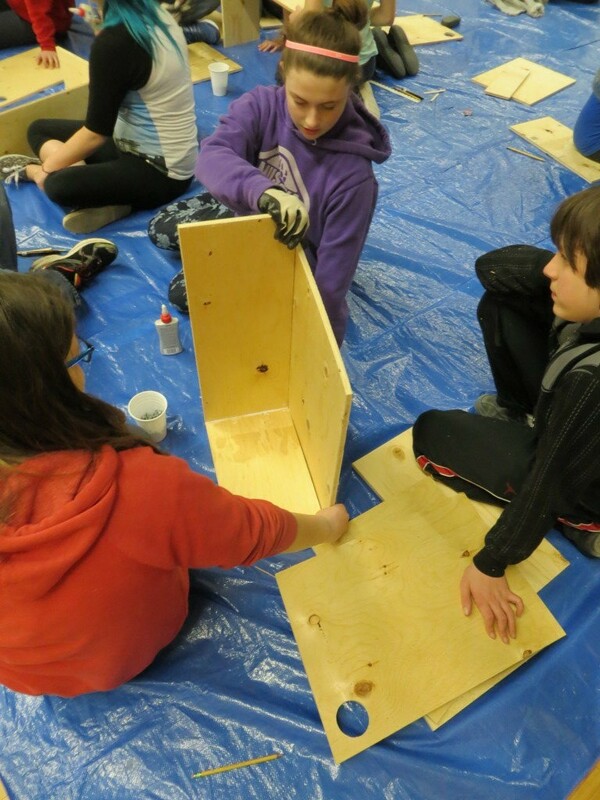 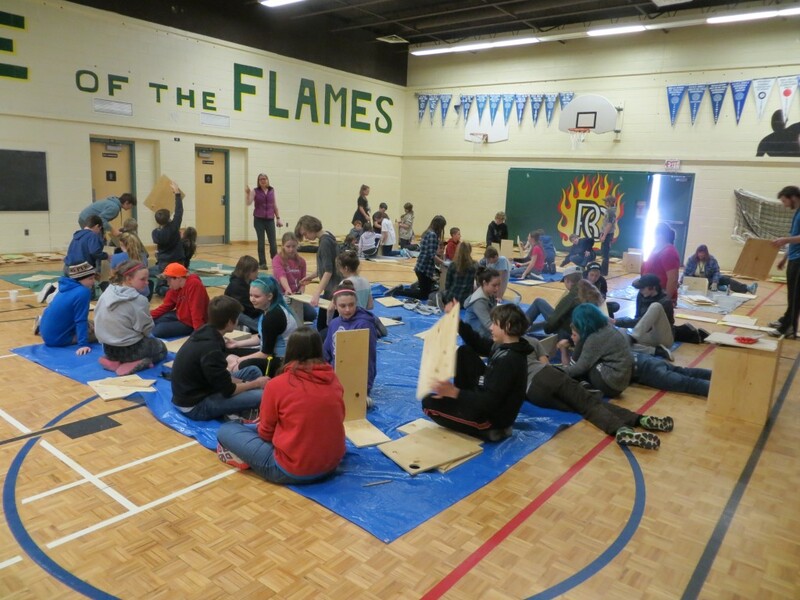 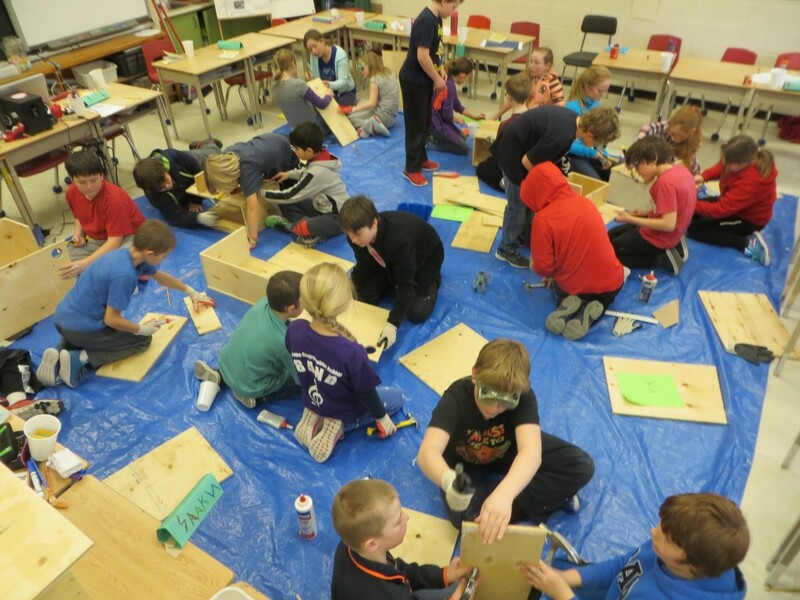 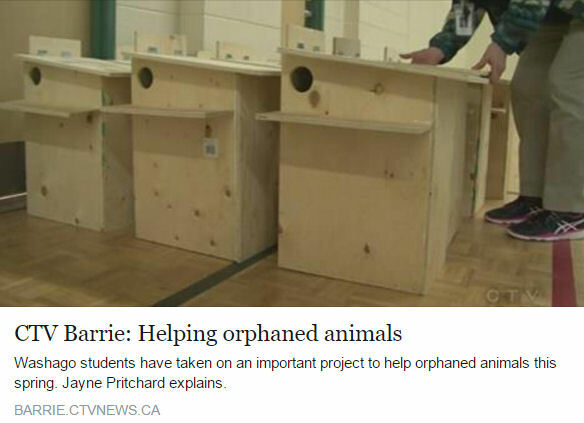 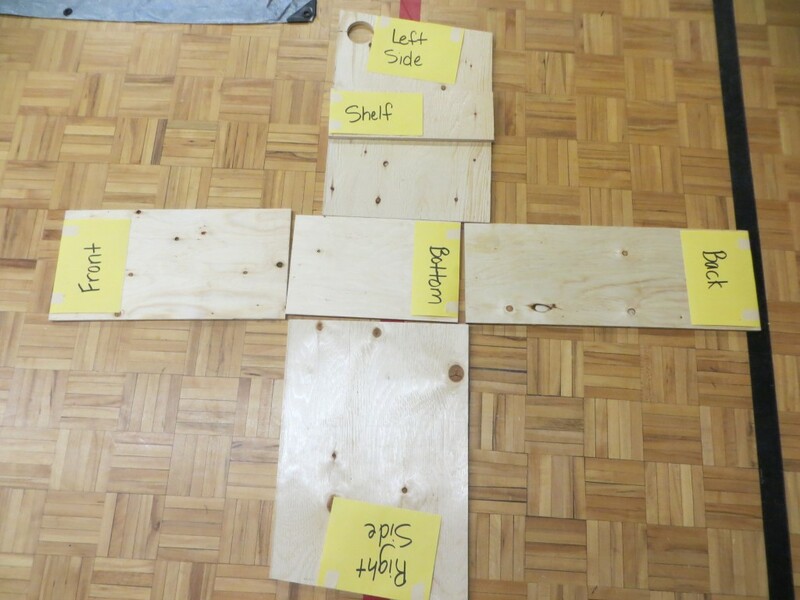 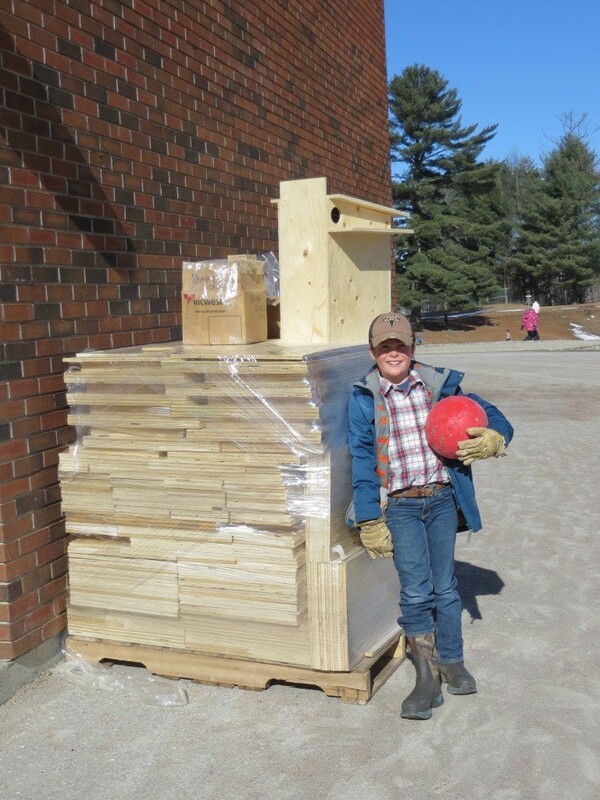 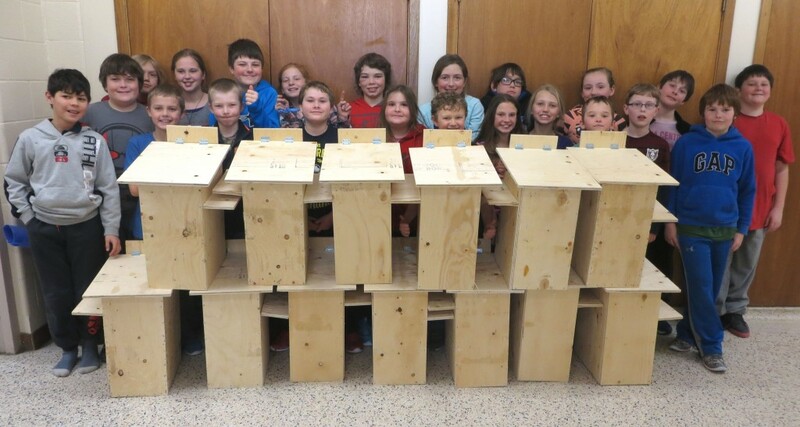 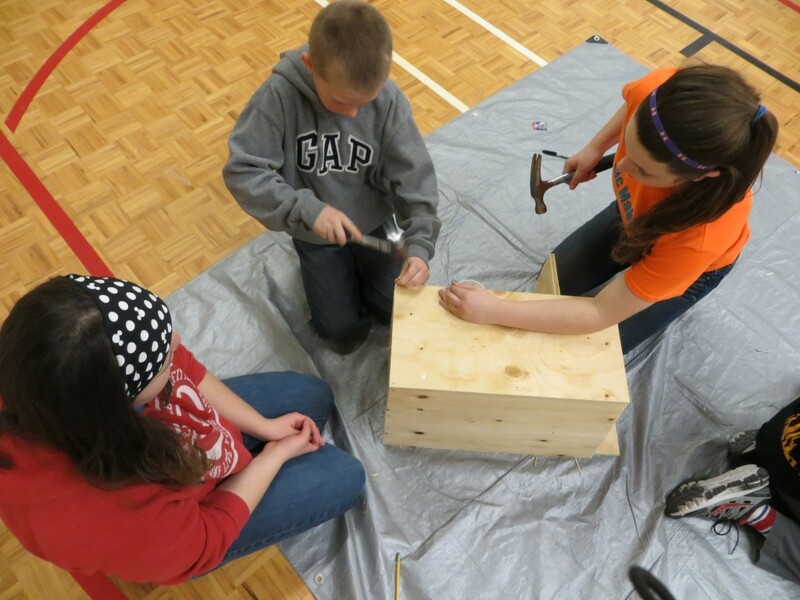 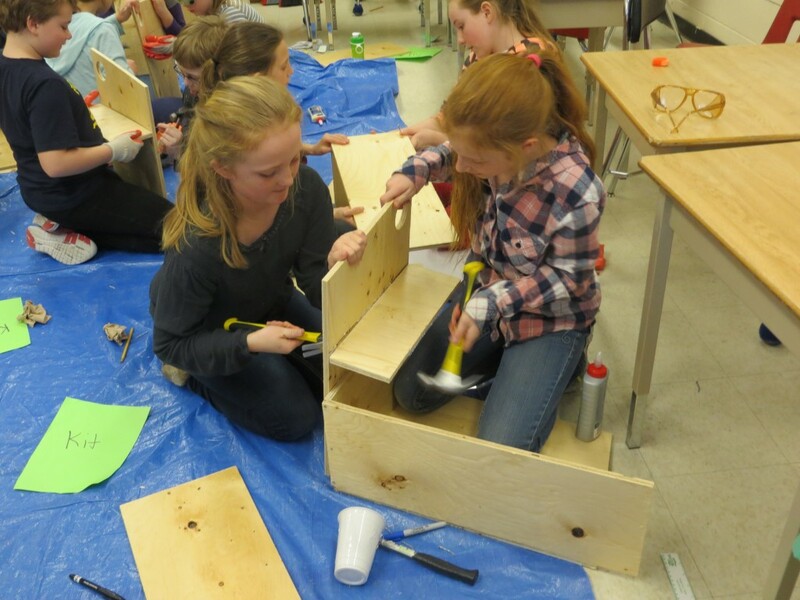 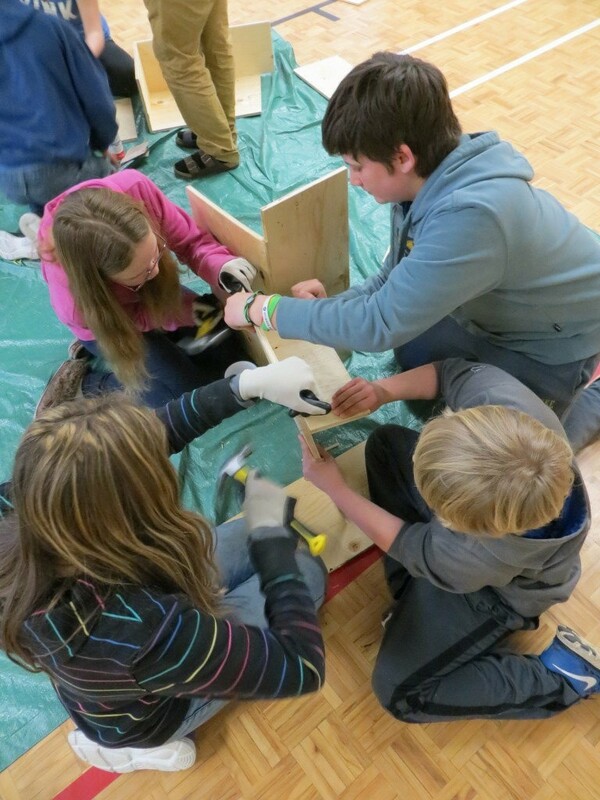 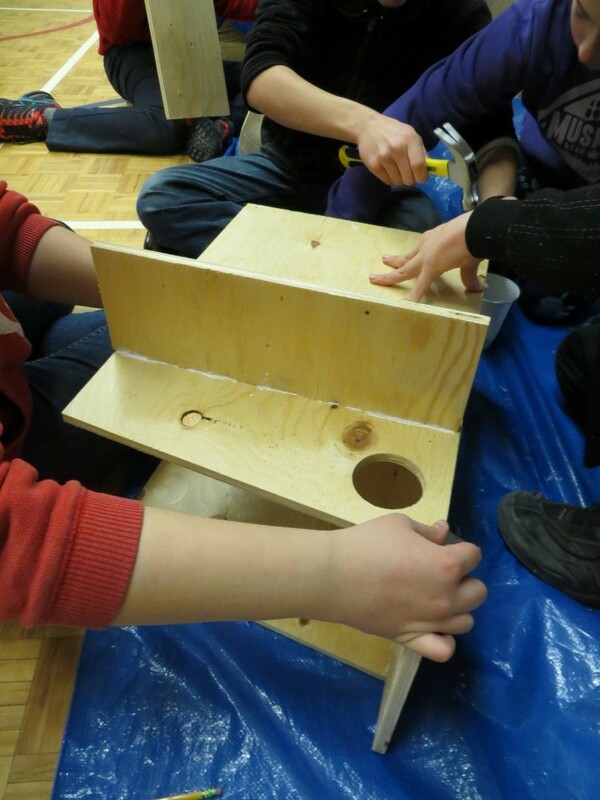 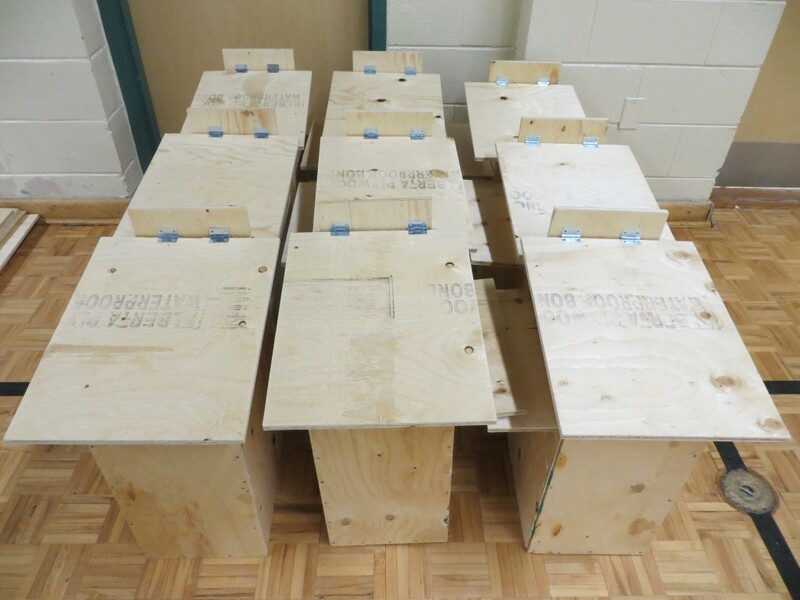 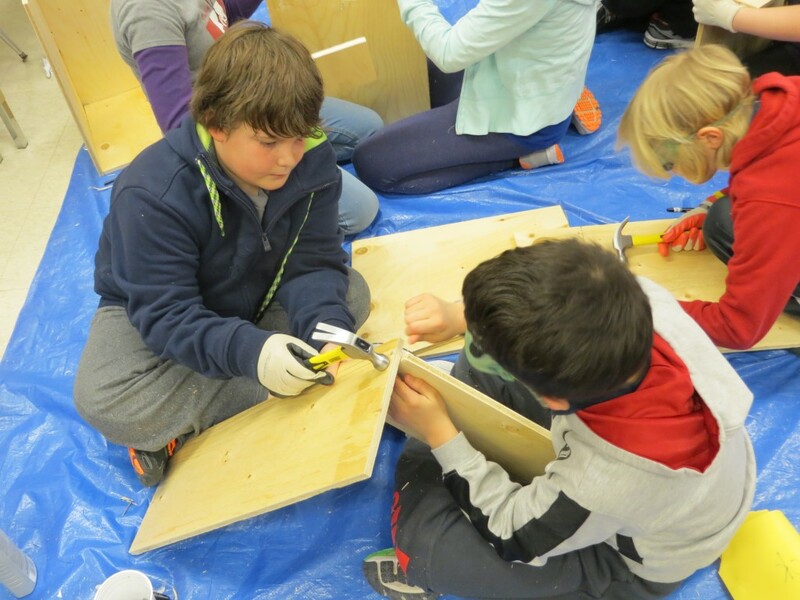 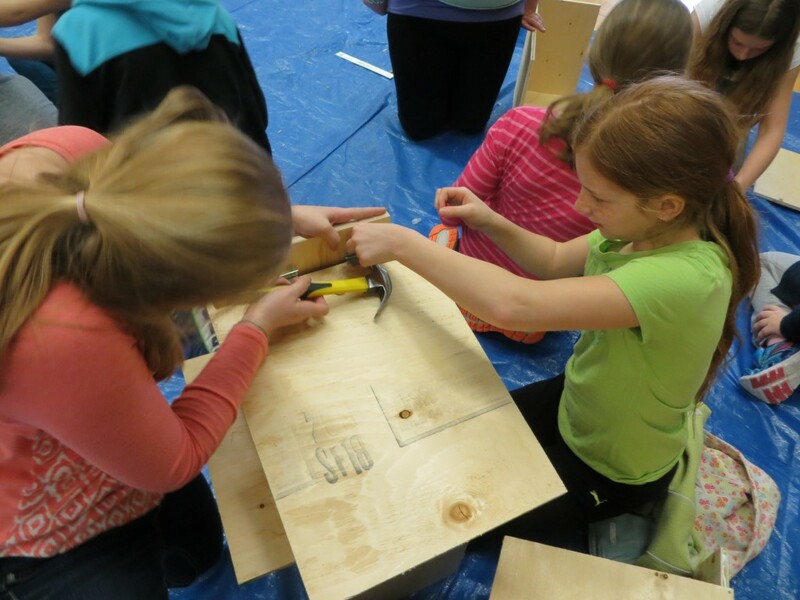 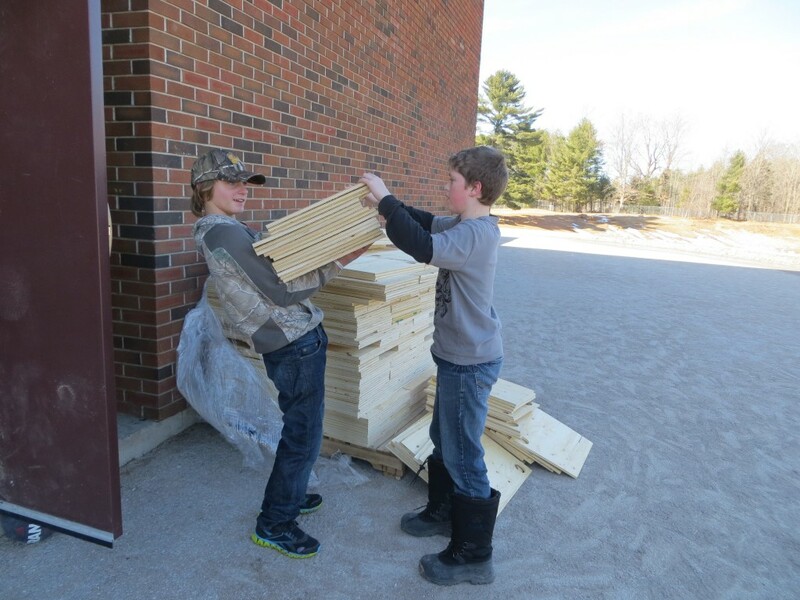 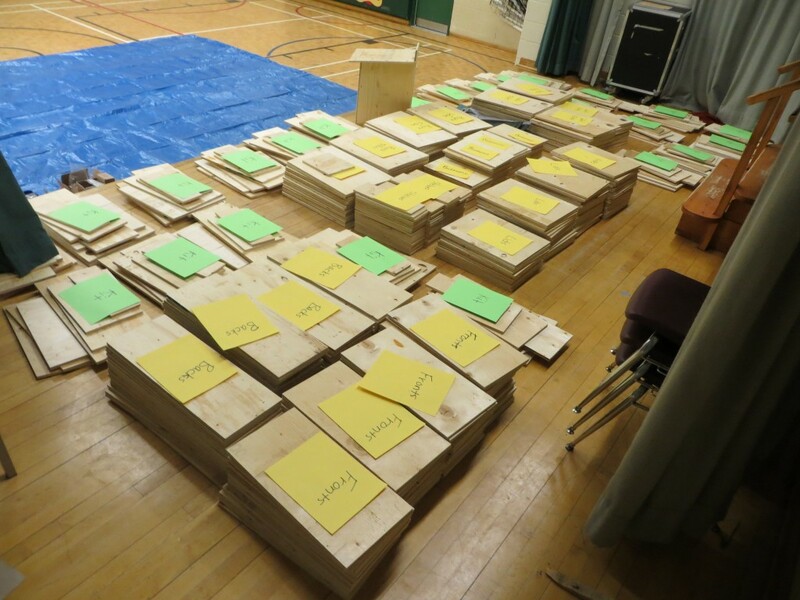 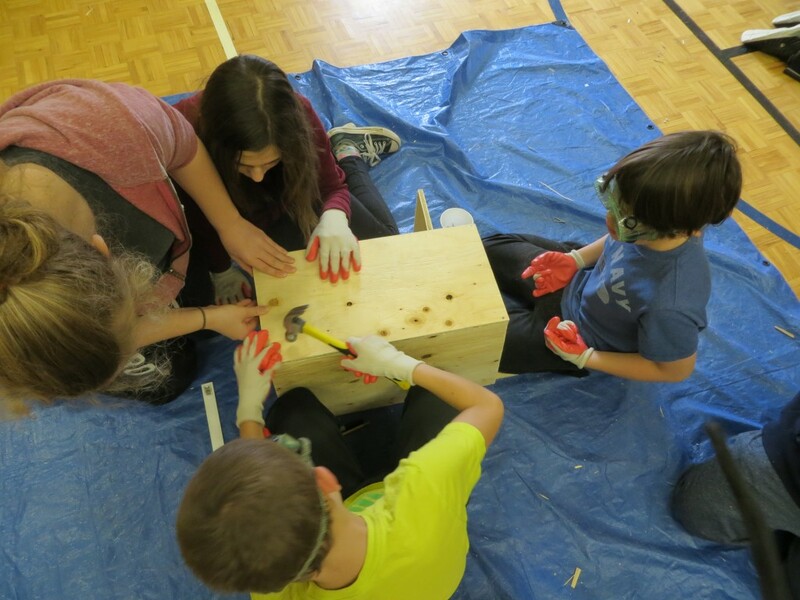 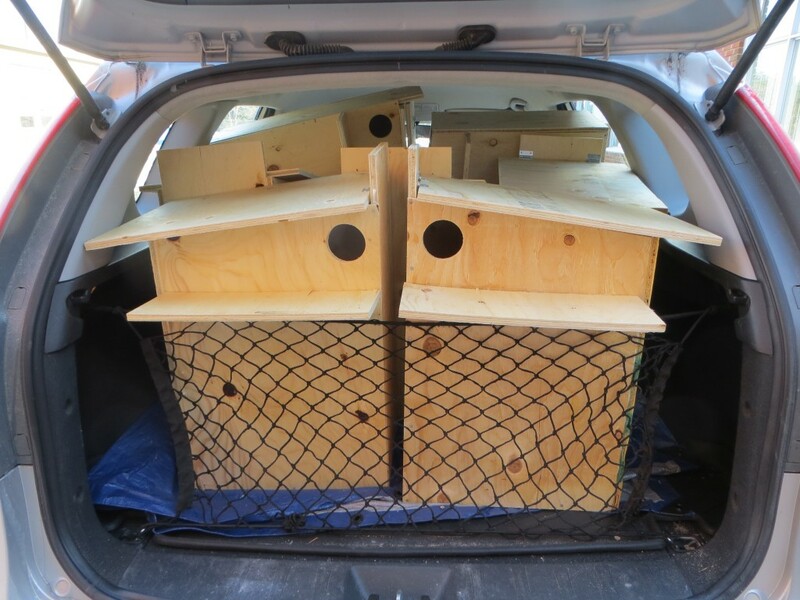 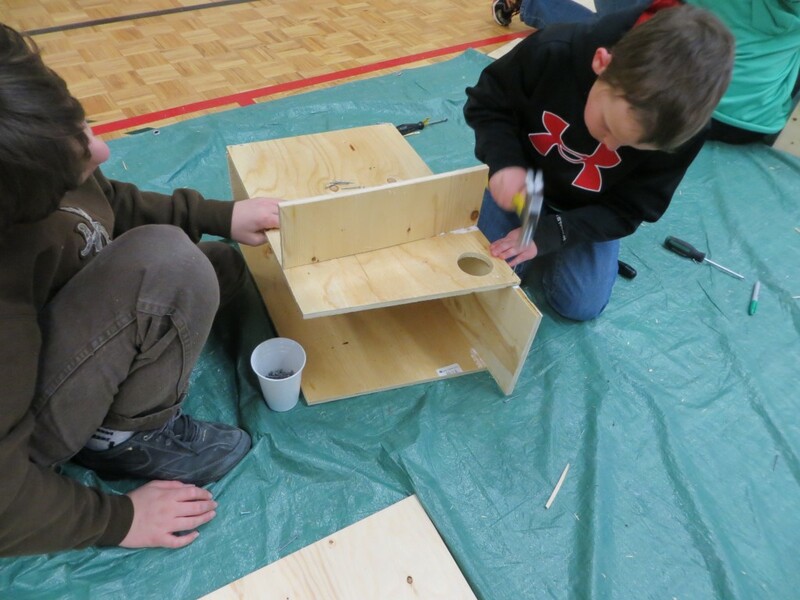 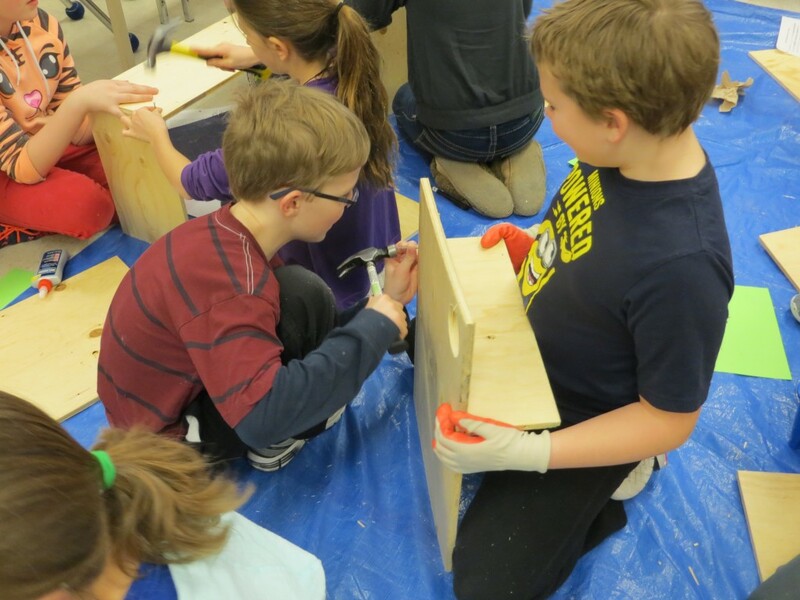 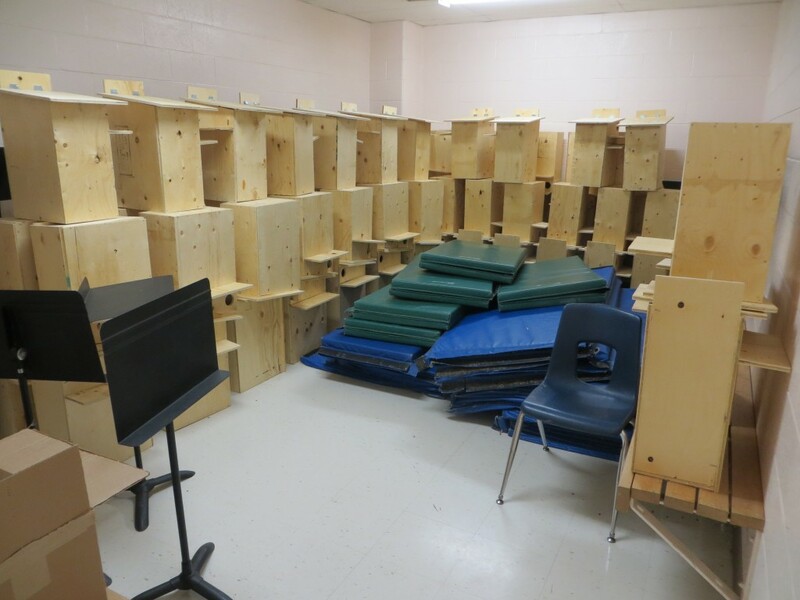 Students were invited to autograph the bottoms of boxes they had constructed: This photo depicts about 70 finished squirrel boxes, being stored temporarily in one of the change rooms attached to the gym: Mrs. Black offered to deliver twelve sleeping boxes (the most the would fit in her car) to each of four local wildlife rehabilitation centres, over four weekends. 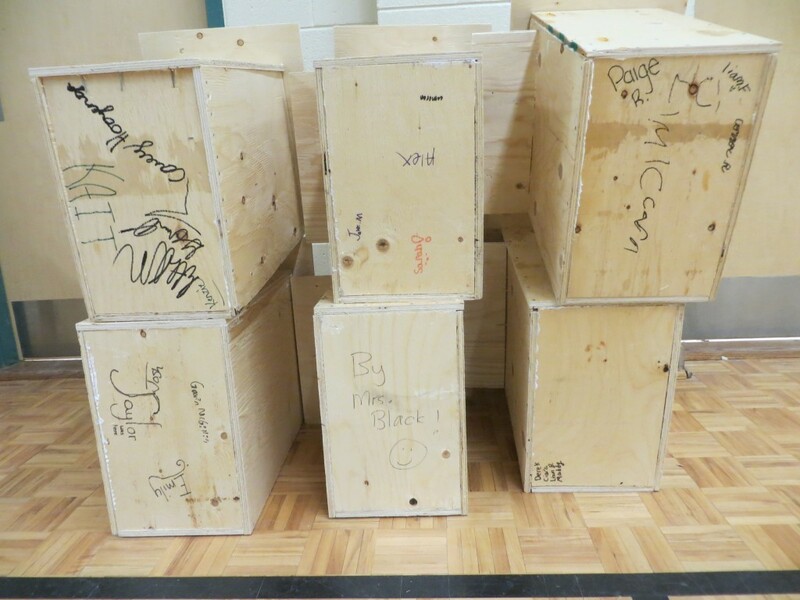 The wildlife sanctuaries have been asked to send someone to the school to pick up the balance of their boxes. 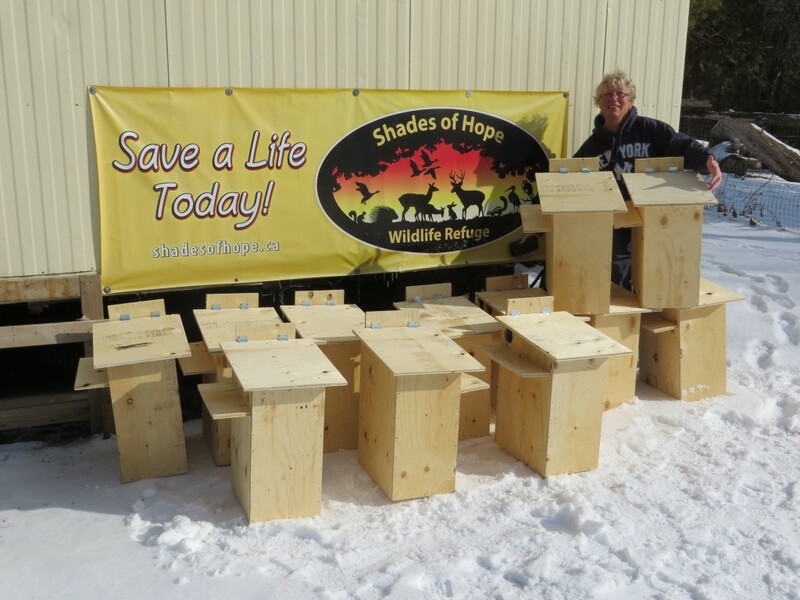 Box Shipment #1 went to Shades of Hope Wildlife Refuge, near Pefferlaw: Our boxes will be used to protect orphaned squirrels, flying squirrels, chipmunks and opossums from the elements, until they are old enough to be released back into the wild. 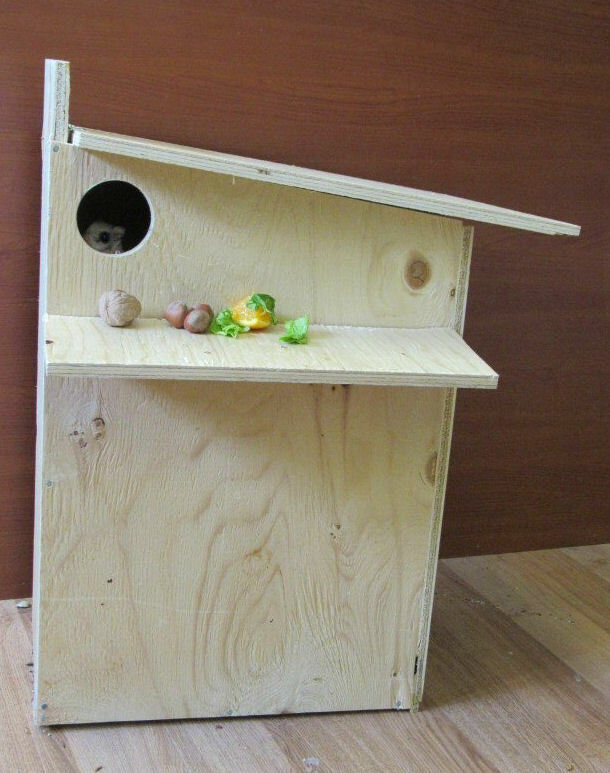 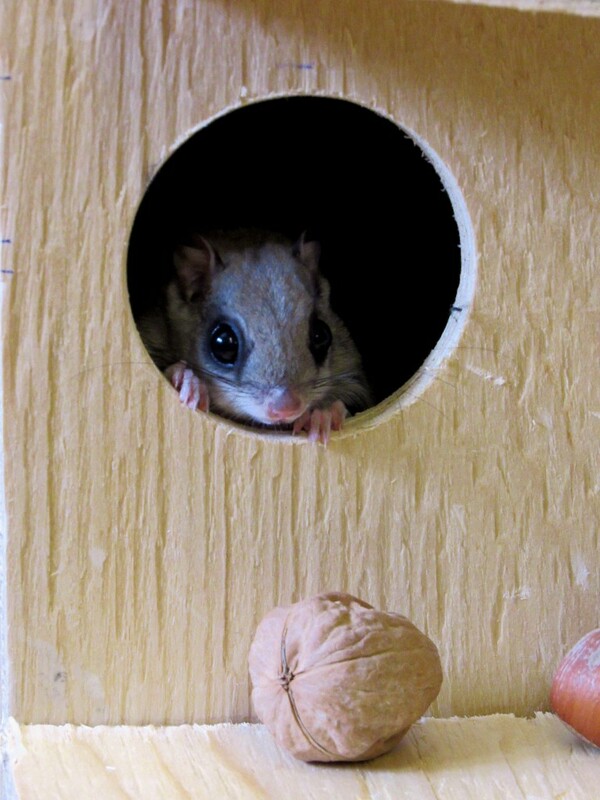 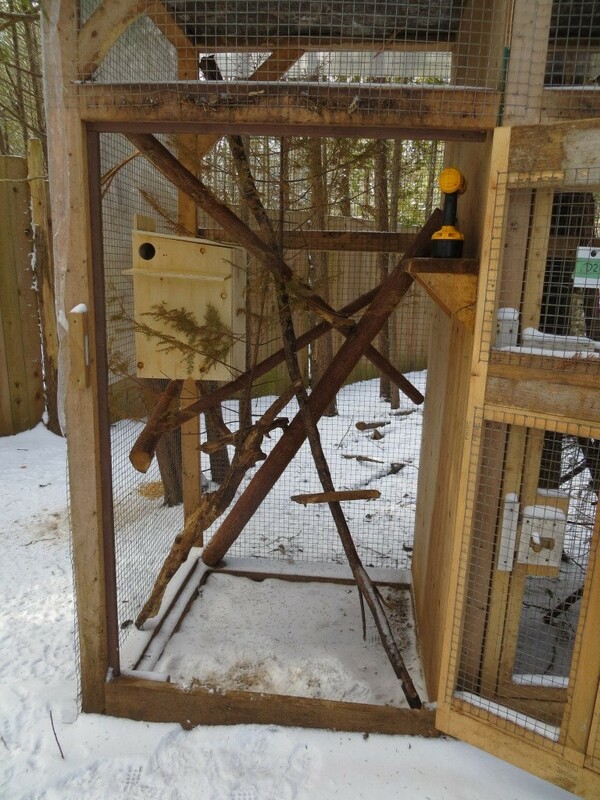 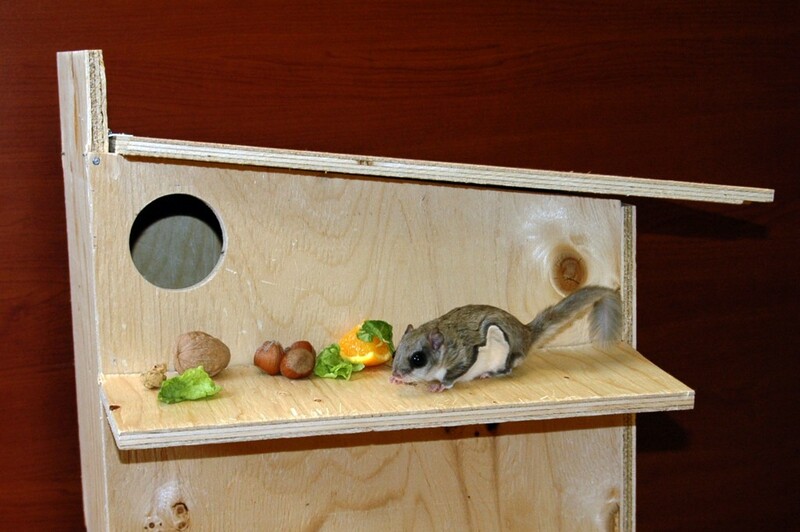 This is one of our squirrel boxes, mounted in a "pre-release enclosure" at Shades of Hope Wildlife Sanctuary: Box Shipment #2 went to Woodlands Wildlife Sanctuary, near Minden: This little Flying Squirrel, who is overwintering at Woodlands, gave our boxes her seal of approval! 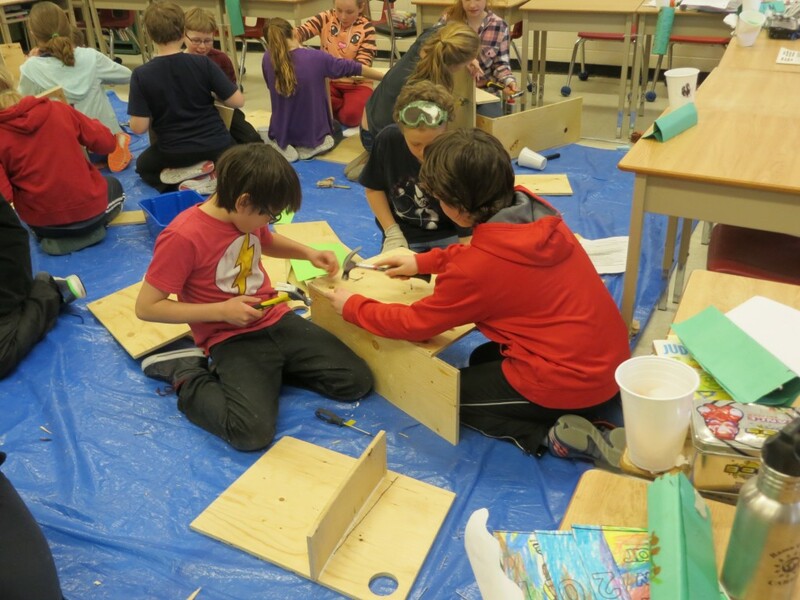 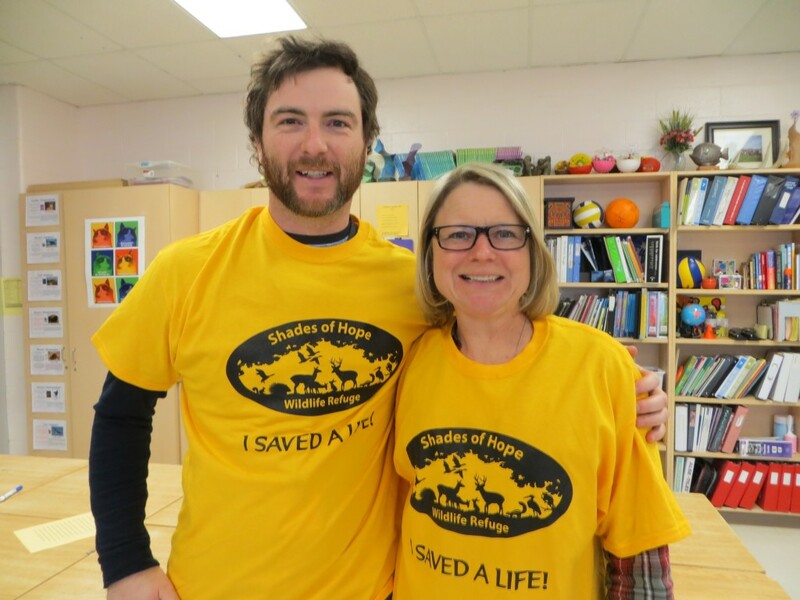 We want to thank Learning for a Sustainable Future and the RBC Foundation, for making this project possible. 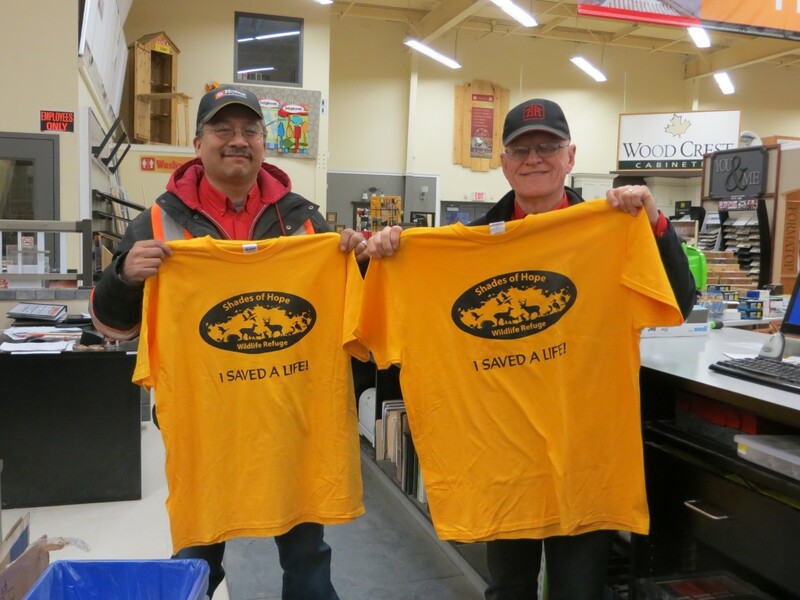 We also want to give a HUGE shout-out to Wayne and Tom (pictured), and Bill, at Orillia Home Hardware. 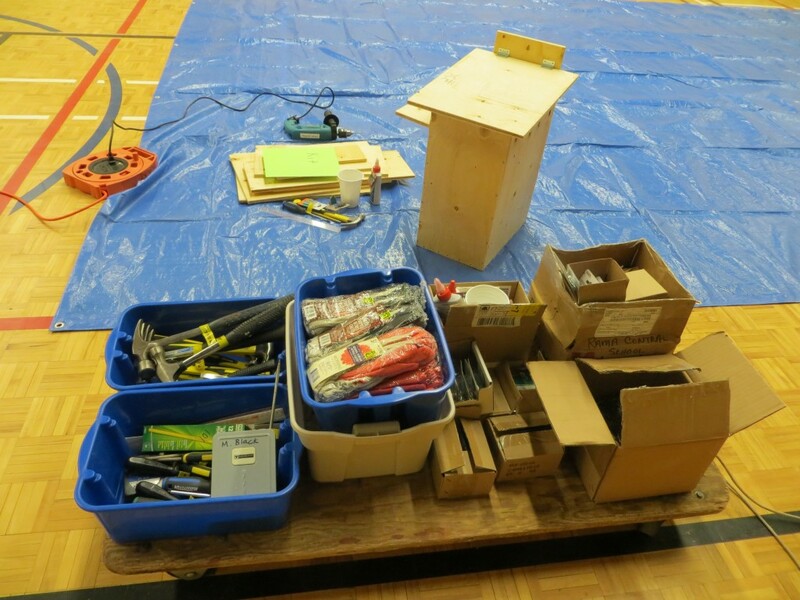 They did an absolutely stellar job pulling all the materials together for us. 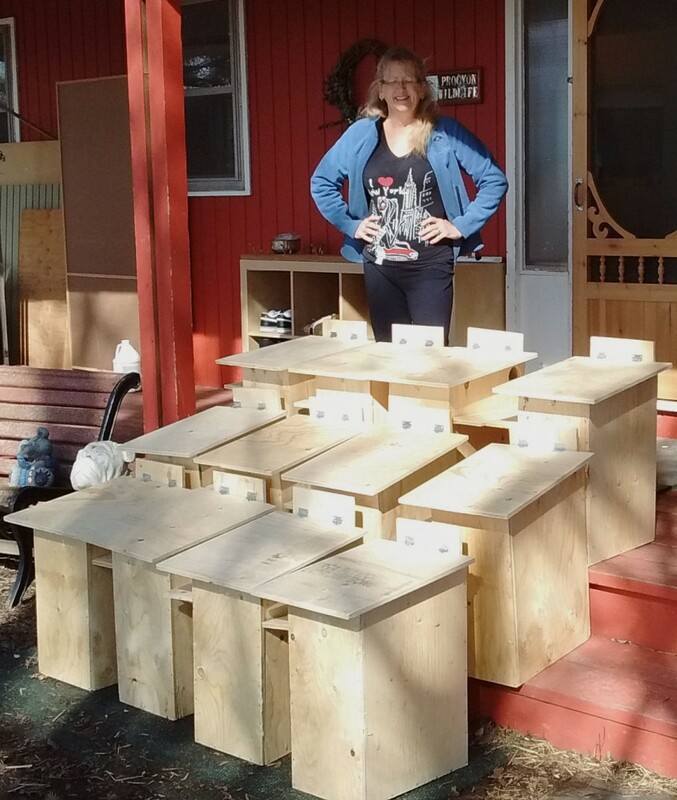 That included pre-cutting, packing and delivering the wood for 96 squirrel boxes and 5 opossum boxes! 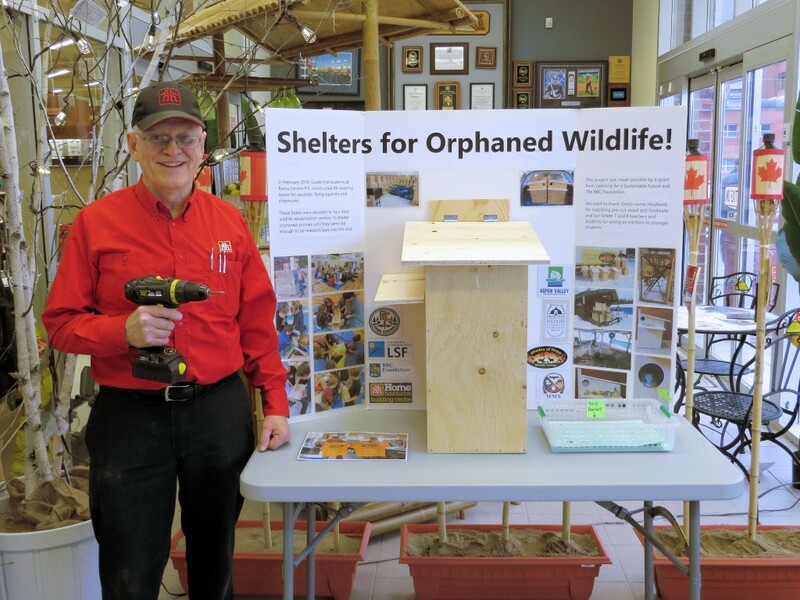 Published on March 1, 2016 March 19, 2016 Categories Community Service, Math, Science, Science BuddiesLeave a comment on Shelters for Orphaned Wildlife!